Looking for something fun to do this holiday season? 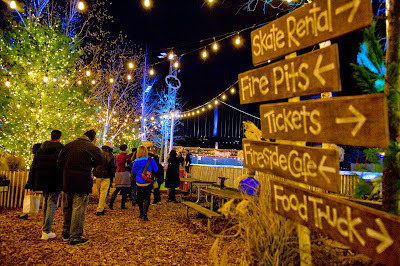 Last year’s blockbuster attraction, Blue Cross RiverRink Winterfest, returns to Penn’s Landing for an extended run ~ now through March 2015. It is a hotspot for attractions this holiday season and going into Spring. The holiday lights are dazzling, the food is delicious and the entertainment is super fun! 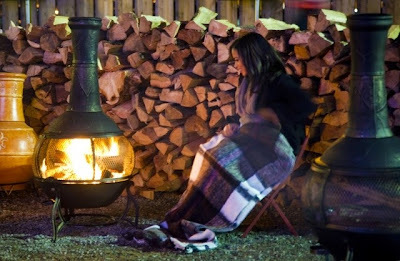 The pop-up winter garden that was such a hit during its short appearance last year, Waterfront Winterfest returns for an extended run—that means more time for cozy fire pits, fresh-air eats and drinks and live entertainment under the 400-person warming tent fashioned from recycled shipping containers. How cool is that? Totally cool! A 3-D light show around the alfresco rink will delight ice skaters and spectators of all ages on the hour from 5:00-11:00 p.m. Plus, many special events and activities are on tap at the Blue Cross RiverRink throughout the season. You can find all of this fun activity on Columbus Boulevard at Market Street in Philadelphia or check out riverrink.com and waterfrontwinterfest.com for additional information and a schedule of current and upcoming events.